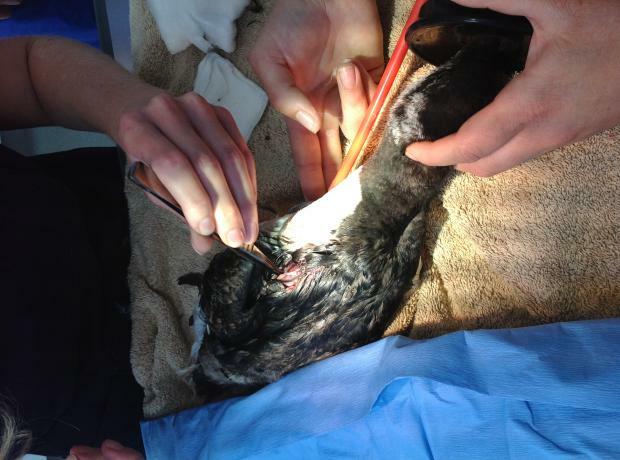 An update on Adele the Grebe that came in covered in oil from Torey Canyon last month. We are pleased to say she is doing well and the oil has now been removed. We are caring for her until her water proofing returns before we release her to the wild. Currently having physio on one of our pools she appears to be enjoying being back on the water. Only a day after the warning of rubbish and we have yet another injured bird this time a fishing hook injury. 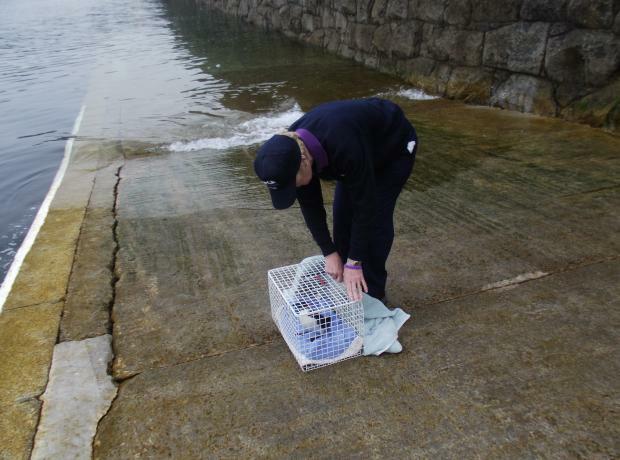 The razorbill which we have named Bill survived last night after coming in and is doing well in one of our intensive care units with the hook removed we are hopeful that the wound will heal.